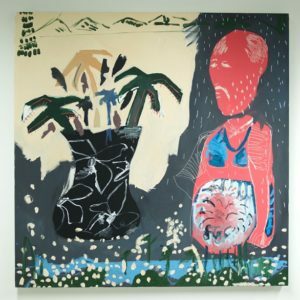 Artist Dan Hollings was chosen by Saatchi Art as one of 34 artists from Europe and America to invest in – less than a month after graduating from Falmouth University. As well as this he’s been shortlisted for the 2018 MIDAS award. 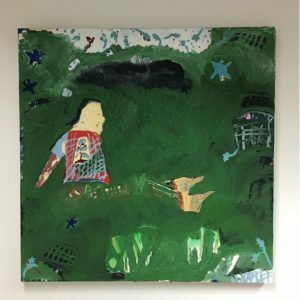 Dan Hollings’ talent and passion for becoming a renowned artist is obvious even if it’s still the early stages of what looks to be a promising career. 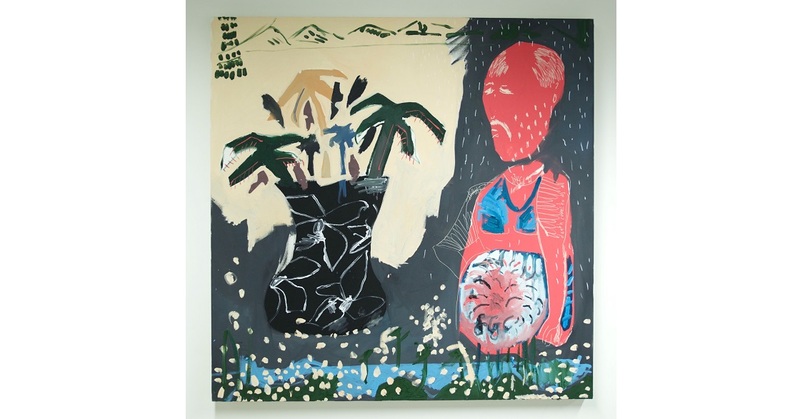 Dan has gone on to be a part of solo and group exhibitions in Falmouth, Redruth and London. 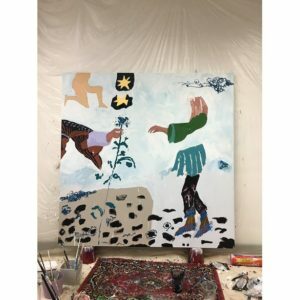 His upcoming collection will be shown in Newlyn Art Gallery in February 2019 as part of his MIDAS award, where he will also be making zines with the public alongside the exhibited works. ‘In my current practise the works are heavily formed around the matter of identity, to oneself or a passer-by from the ‘everyday life’. I get distracted, picking up on small details, clothing, expressions, stature, emotions, they excite me. Identity comes through the actions in scenarios that may be normal to oneself, but to an onlooker these may be peculiar. Fluttered within the works there are discreet motifs taken from the surroundings, overheard conversations, while using the paint as a vessel for personal dialect’.